When one of the most influential technical research institutions on the planet claims a new technology could badly misfire, you might want to listen. On Monday, officials from the venerable Massachusetts Institute of Technology (MIT) announced a billion-dollar initiative to confront the rise of artificial intelligence. According to university administrators, this will involve supporting deep interdisciplinary research into both AI’s promise and its ethical perils — even remaking the school’s internal organization around the project. A $350 million donation from Stephen Schwarzman, the CEO of private equity firm The Blackstone Group, will fund part of the reorganization. 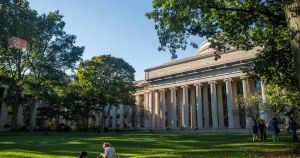 MIT will also use the money to create 50 new faculty positions, both at the new college and in interdisciplinary positions elsewhere at the institute. Ethical AI could make the world safer and free up creative thinkers from mundane tasks. Conversely, not-so-ethical AI could upend the job market, increase economic disparity, and lead to destructive new tools of war. In the face of that promise and peril, MIT’s project is a heartening sign that at least one prominent institution is taking seriously its responsibility to chart an ethical course into AI’s strange future.